This is true, Krugman abuses his readers with so many contradictions that I wonder if he is under the care of an Obamacare physician and if he always deposits the huge payroll checks, that I understand he is getting, from The New York Times and CUNY into his own bank account. 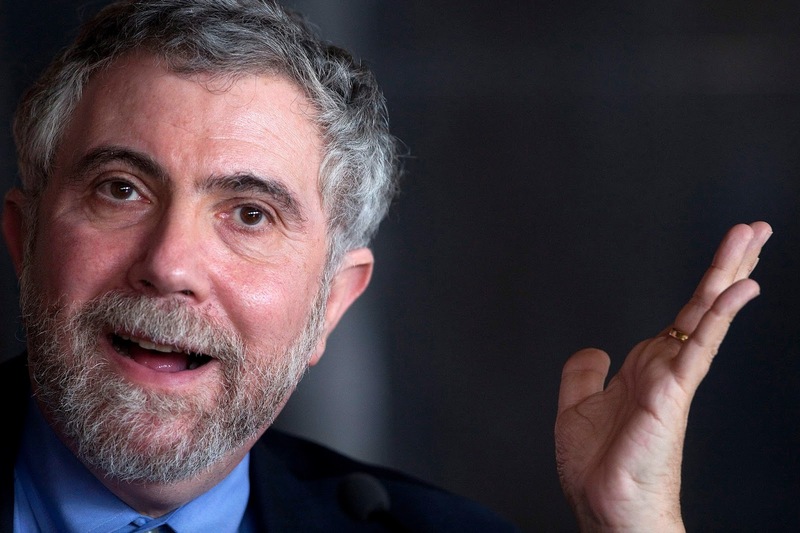 I would pay big dollars to see a debate between Trump and Krugman. Indeed a mere belief it would be. It is a fact that only us Anarcho-capitalists are morally and intellectually superior to everyone else. I wouldn't say that we are morally and intellectually superior, by our philosophy sure is. These same things hold true of conservatives and many libertarians. Politics is a "team sport" for most people. Most people really don't understand why they hold their precepts (I especially love the "I believe in science" crowd who, generally, couldn't pass a physics 101 class to save their own lives). It often comes down to two sides trying to force their religions on everyone else. Religions generally require holding simultaneously contradictory beliefs. People tend to rabidly defend their teams and their religion. Politics is generally a combination of the two. I agree. I have found that it's pointless to try to point out self-contradictions to most statists. Since it would destroy their whole philosophy, they quickly pivot to "majority rules," "experts rule," "this is how it's always been" or "sometimes we need to use force to get our way."